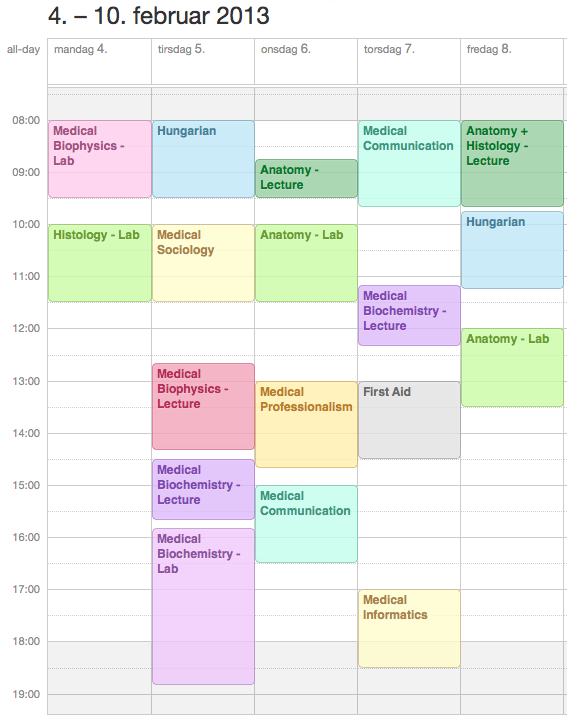 Here is Skjalg’s schedule. They are pretty similar, considering the fact that we are in different groups. It’s nice that we will get to see each other during the day. Quality time will be hard to come by once classes start..
Just remember that whatever is thrown at you, you will manage. You may not be perfect, but you will succeed. Was inspired by your doorway bar and rings so ordered some when I was waiting at the airport in Budapest for my flight back to London. Set it up today but think I need to use the extra security parts. Was showing the kids what I could do hanging upside down and ended up falling 5 ft to the ground because the bar did not support my weight. Scary moment when I felt like my chest had been crushed and I couldn’t breath. Was on my own with the kids. Andre was a trouper and took charge. He told me to lie down and rest and he would take care of getting the others ready for bed. I am up and still alive so suppose I’m ok.
Oh Aida, that’s horrible! Are you ok?? Skjalg drilled our bar into the doorway, so it is extra secured. Sounds like Andre lended some much needed support there. I hope you aren’t too badly hurt! 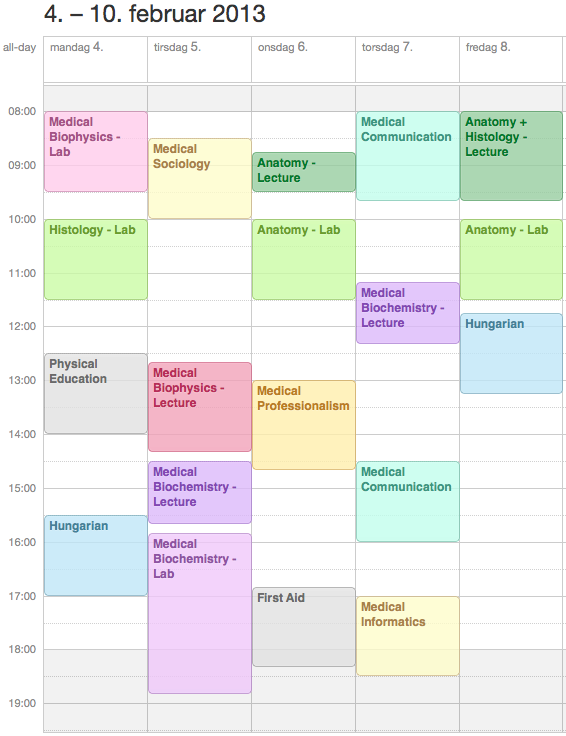 You are currently reading Schedule for Second Semester at Buda-B.